First of all, let me begin by apologizing for the long delay between posts. The progressive loss of function it is been a little more difficult to find my way to the computer. Also this is been causing me to have many more appointments at the house to deal with these issues. I've been debating writing a post about diet for some time, but not being a dietitian I was convinced it was appropriate to do so. However, the other day when I was attending a clinical trial I ended up chatting with another gentleman also suffering from ALS and he was having some serious weight loss issues that was concerning him and his family. His progression is different than mine, he is much more bulbar and has much more difficulty speaking and swallowing than I do. He does however retain more strength than I do. We started talking about the concerns of weight loss and it was very surprised and interested by the fact that my weight has been very stable for a long period of time and wanted to know my "secrets". So what I post here is by no means extensive, but it is what I'm doing and I'll try to explain a bit about why. Please be sure to exercise your own judgment as weight loss for ALS patients can be quite dangerous and difficult to regain. If you have any doubts, be sure to consult with the nutritionists or a dietitian to make sure these are covered and are following well-informed advice. To begin with let me put these risks and context all begin by telling my first experiences messing with my diet. At about the time I received my diagnosis my average weight was between 180 and 185 pounds. This is a touch heavy for my frame, but bad not that at all. I immediately went into the the panic, realizing that there is no effective treatment and about the only thing that I could have some control of to try to influence things was my diet. So I immediately went on a hard-core cleansing alkaline diet and at the time I took this intention to nutritionists who helped guide me through some of it. 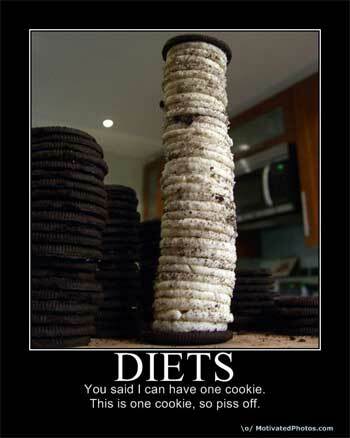 I committed to this diet for several months and did not allow myself any deviation to speak of. During this time I lost around 20 pounds. Getting down to 160 pounds. This is starting to get too skinny for me, and I was dealing with fatigue and loss of energy quite regularly. After several months, I found that I was not able to slow or halt progression and returned to eating more "normally". By doing so I leave me a fair bit of weight and have stayed stable between 170 and 175 pounds. This is a healthy weight for my stature, even though I am losing muscle and gaining fat. Once I met with my new doctor at the Montréal Nero, she explained to me that this is a fairly common knee-jerk response. The danger is that once an ALS patient is awake, and do not regain it. They have a longer survivability if they can manage to keep the weight on. I have seen this repeated many times in my reading on the subject. Consequently, this is because my goal. But I do make it a point of avoiding processed foods, eating healthy and organic wherever possible. As a no longer able to prepare food on my own throughout the day, I'm no longer able to forage for a snack either. This means I have to find a way to eat enough to maintain an appropriate calorie load based around my three meals. Not much else. These are the my breakfast staple. I usually make a batch of 3 to 4 pints twice a week. It's just easier to manage this way, rather than making them one by one daily. 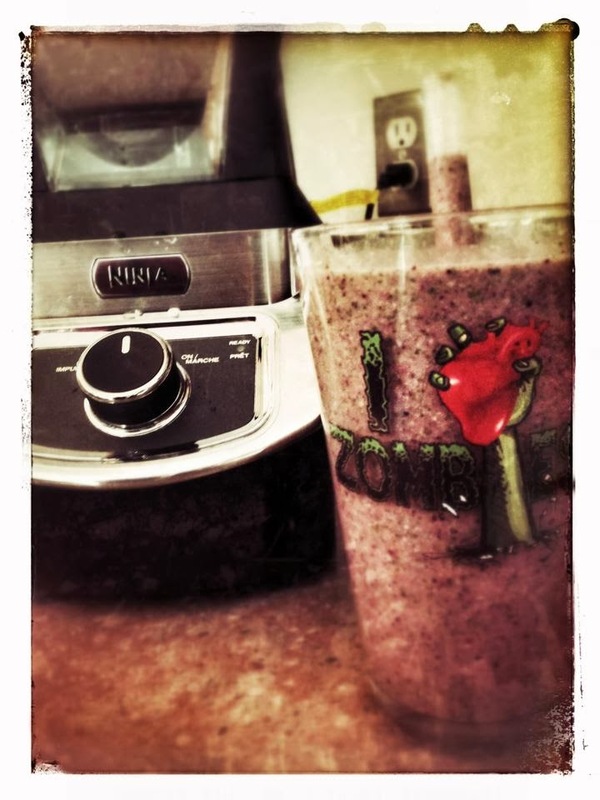 I started with the purchase of a ninja blender which is a very powerful and relatively inexpensive one. Costing about $100.What I like about it, is it doesn't blend in quite the same way. It has a bunch of "knives" that's spin around to finely chop the contents of the blender. It does not blend it into a completely smooth purée, leaving it ever so slightly chunky. This is better for digestion. considered to be a super food high in antioxidants. I add them dried, they rehydrate in the smoothy. The following is just my opinion, please consider it accordingly to make your own informed decision. Personally I don't take meal replacement shakes such as boost and ensure as at this point in time I don't feel the need to do so. I am getting abundant nutrition from what I consider to be better, more natural and unprocessed sources from my smoothie. Also, I don't believe it meal replacement shake is the best of ideas. I prefer to regard them more as a meal supplements to ensure that you get your requirement of vitamins and minerals. I also consider these to be highly processed foods, consequently not the best way to get your complete nutrition and maintain a healthy diet. Make an natural smoothie with a wide selection of fruits, veg and grains and I think you'll have more positive results. But by all means, if your doctor recommends it, add it to your diet. But don't rely on it. Being almost a liquid, I don't want to to pass through my stomach do quickly. So I always eat some bread or something first to help it stay in my stomach a little bit longer.To store them for consumption over the next couple days I use Mason jars in the fridge. Might see just a little bit of discoloration on the top by day three, but they're still good to eat. Also the Chia seeds need some time to become gelatinous. Optionally you can also add other supplements such as whey protein (bodybuilding supplement). I used to add this early on, but I'm finding I'm getting more than enough protein from all the grains. You will no doubt find a lot of talk about the supplements and I am quite often experimenting with various supplements to see if I can find benefits. I recently tried playing with something called the Deanna protocol which claims to have seen some positive results. I've not followed strictly, but taking the supplements that I'm able to find and that I believe to be of most benefit. There's been several months and have not seen any results. That being said, I will discuss in one supplement that they've seen numerous references to and I believe is helping me immensely. And that is creating monohydrate which is a bodybuilding supplement which is intended to promote muscle growth and maintain cellular energy levels. In my readings I have found numerous reports that creating monohydrate is about as effective as taking riluzole, the only clinically approved ALS drug. When I told my doctor about it, she encouraged me to keep taking. As a matter of fact she instructed me to increase the dosage I was taking. I'm now taking a full 5 g daily into pills. One in the morning, one in the evening. If you choose to take creatine monohydrate, be sure to do your homework first and by the good stuff. You can find it pretty easily, but I recommend getting it from a gym in raw form. I don't believe this is a good idea to buy it in fruit punch format as it has all sorts of other flavoring & sweetening additives. I also found the dosage to be lower. If you're not careful about monitoring the dosage per pill/glass you may find it to be more expensive than it needs to be. That being said, creating monohydrate is not terribly expensive. This is something that I believe is often overlooked, but is in fact quite important. When you choose to eat can have a significant difference in how calories are metabolized by your body. This is something I play with and would encourage you to do the same. When you go to sleep, your body does not require the same amount of calories. So having something that's higher in calories before going to bed at night is probably not a bad idea. Treat yourself, have a bowl of high-fat Häagen-Dazs ice cream (or the like) shortly before going to bed. Most of these calories will not immediately be allocated for your daily needs. Your body will know to store them as fat for the next day. I don't do this every night, but like I said treat yourself to a bit of desert before bedtime. If nothing else, take half of your daily creatine monohydrate before bed. Yes, there will be some debates about having too much bad fats in your diet. Don't get me wrong, you do not want to over do it. But the way I figure it is the immediate concern of losing too much weight is more important than the risk of developing a heart condition 10 to 20 years down the line… As you are no doubt aware ALS is typically terminal and less than five years. Do however keep in mind eating too much junk food can result in skin conditions. So if you treat yourself a couple nights a week, I figure this is a good balance.